When your air conditioner is not running in the condition that it should, it will cost you more money to operate it. 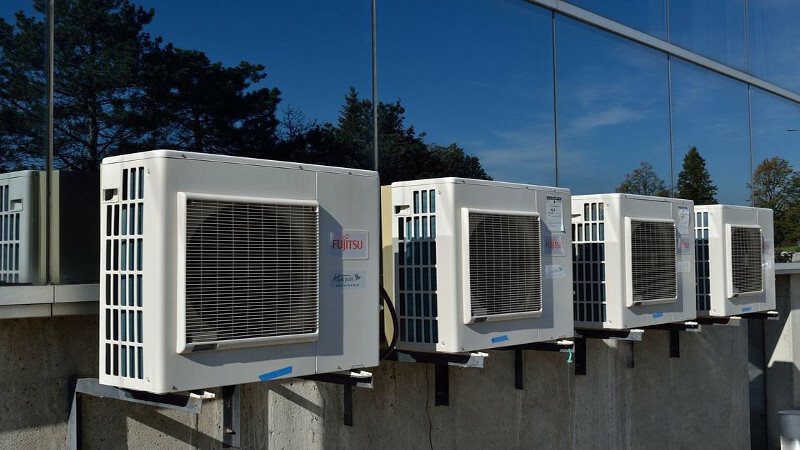 Due to our hectic lifestyles, we may forget to periodically do the routine maintenance on our air conditioning units, which would have prevented costly repairs if we had taken the short time to take preventive measures. When air conditioners are allowed to operate in poor condition and they make futile attempts to continue to make a poor attempt to cool the house—the unit is doing the homeowners budget an injustice. When an air conditioning unit is running improperly, it will cost the homeowner more money to operate it because the air conditioner will have to work extra hard in order to remove any humidity from the air. When the air conditioner is no longer working it is time to call a repairman and speak with the professionals that are accustomed to doing air conditioning repair in Houston, TX. And when your unit is in need of repair, there are certain safety precautions you should follow in order to keep yourself from certain health risks. One of those things is to make sure you stay well hydrated by drinking plenty of water. You may also need to purchase several electric fans in order to stay cool throughout the day and to make your home comfortable for sleeping at night. For those that live in the city of Houston, turning on the air conditioner is part of what is done on a daily basis. However, because of high utility bills, there are people that have found ways to beat the heat. There are many tricks that will help you save on energy in the months when using your air conditioner is most prevalent. Some of the suggestions offered by cooling companies are the same ones that we heard growing up, such as, open up the windows at night instead of leaving on the air conditioner, drink plenty of water, wear light clothing because this will reflect the rays of the sun and most of all, you should eliminate any strenuous outdoor activity. However, when your air conditioner is running, there are several tips that will help air conditioners stay in excellent working order. One of the biggest favors that you can do for your budget and your air conditioner is to make certain that you have routine maintenance checks performed on your unit. This will help decrease repair bills and lengthen the life cycle of your air conditioner. Houston has the privilege of being warm all year long, and during the summer months, the temperature rises even further. Therefore, air conditioning is a must for those folks all year long. So, if you know that your unit needs to be repaired or replaced—it is high time that you call on the air conditioning experts in the city of Houston. This way you can have the peace of mind that your air conditioning unit will be kept running at its peak performance.